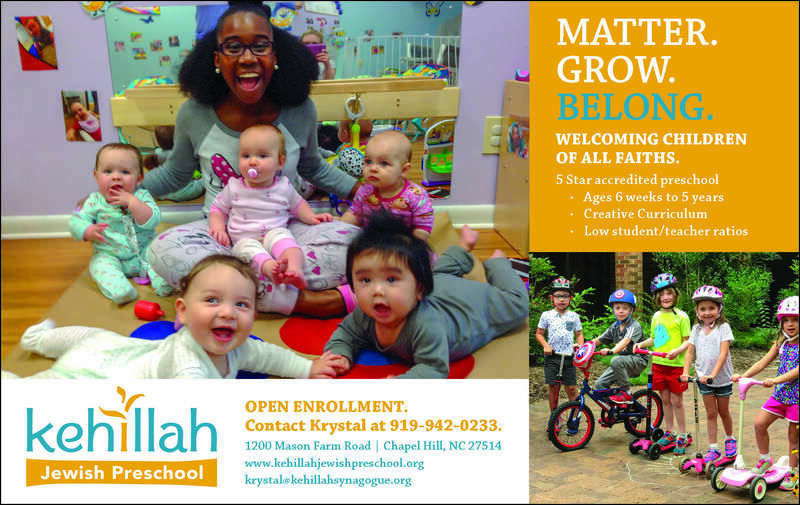 Kehillah Jewish Preschool is now enrolling children aged 6 weeks to 5 years old. For more information see below or call 919-942-0233. Click here for the enrollment application.